What Is Blogging And How To Make Money With It? I have been running BOB for Her for a year now. Three years ago, I had no clue on what I was doing. All I knew was that I needed a job which could permit me to work from home, following my schedule, while can have some time with my 3 kids. I wasn’t willing to resume work and I wanted something which could make me use my brain and help our family financially. I was lucky to find a Wealthy Affiliate and learn all about blogging and making money online. After one year, I was so excited about the success of this blog, the people I got to meet, the skills I had acquired and the opportunities which came my way. As a way of celebrating my one year anniversary, I have chosen to share five lessons which I learned in my first year as a blogger so as to help other moms who may find themselves in the same situation which I was in 12 months back. 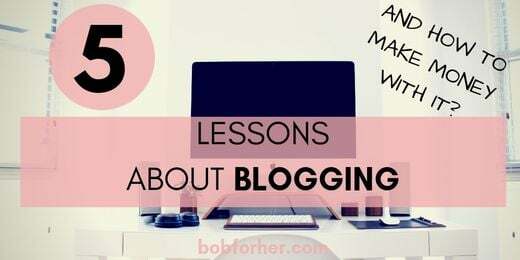 The first thing you ought to know about blogging is that it isn’t a scheme for you to get rich quickly. You wouldn’t start earning huge sums of money overnight. You need to be patient, persistent and dedicated. The exact amount which I earned after my first month of blogging was $140. This gave me some hope that there was a possibility of this “making money blogging” thing. 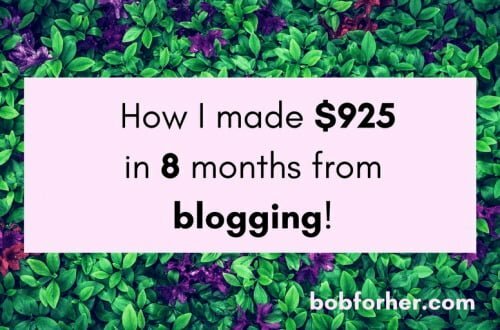 I earned $183.32 after my second month of blogging. There has been a growth in my income every month, but achieving this continued growth took a lot of time and hard work. Reading the income reports of other bloggers was helpful to me when I started blogging. The moment I saw these monthly income reports in thousands of dollars, I started thinking of what made them successful and why the same won’t work for me. To be honest (and this is my belief), being a successful blogger can work for anyone. You don’t need huge sums of money to startup (I used $143 to purchase three years of hosting and my domain), you need not be a professional in anything (I’m not an SEO expert myself) and you are not required to know everything about the world of blogging. This business is truly one which you learn as you earn and getting started is the first step. During the early weeks of my “blogging career” I spent time going through photos, colors, and fonts for my website. And guess what? Apparently, these things don’t matter that much. When it’s concerned, people don’t seem to care about the color of your header be it pink or black, all they are concerned with is the content and how helpful it is to them. Even though your fonts have to be legible and your website has to look beautiful, what matters, in the end, is that all new bloggers should focus on producing quality content for their readers. The blogging world has much which you need to know. Just when you think you have figured out something, a new thing comes up which you have to learn. There exist various ways to earn money through blogging, improve and keep learning. There are no mistakes when it comes to blogging and that’s what I love about it. Trying things and learning from them is worth it. If you have a poor post… so what? Get over it and write another. Trying new things is the only way to know what is best and what your readers like. 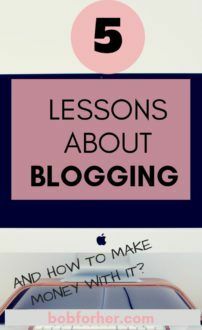 Even though blogging looks like a different way to make an income, you would be surprised at the number of resources which the topic has to offer (the number of persons who make a full-time income from blogging will also amaze you). Persons who are familiar with me know that I don’t like spending money. My intention of starting this blog was to aid our family financially (and settle our student loans) so I wasn’t ready to spend money on blogging courses or e-books. However, when I began bringing in some income, I noticed that I had much to learn and this “teach yourself how to blog” stuff actually slowed me down. There were couple different blogging resources which I invested in the past year. My first source for blogging lessons, from ” how to make a blog” to “new SEO techniques” and different sources of making money with a blog, is definitely a Wealthy Affiliate! If you are just started your blog, or you don`t have clue about blogging, or maybe you are a blogger for a couple years now, but you want to start earning more, I suggest you sign up in Wealthy Affiliate. 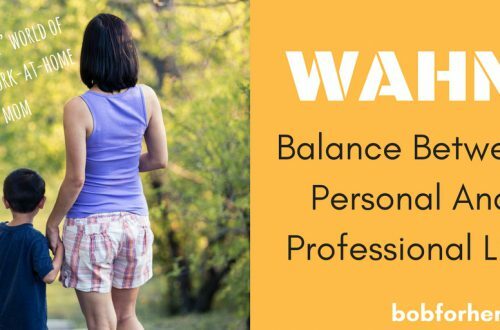 Members of WA are provided with lifetime access to training, lessons, live video and 24/7 support on everything about blogging. This has been the best thing I’ve ever spent money on. I have written a full review of the program in case you wish to know more. Firstly, you should give it the energy and time which it deserves. What you put into it is what you get. I used to spend some evenings and my nap time on my blog (including weekends). Even though it was not up to the 40+ hours a week which my job required before, I still dedicated all my free time to this job. When I first started my blog, I was spending an estimated total of 25 hours a week on it. Secondly, you should show up always. 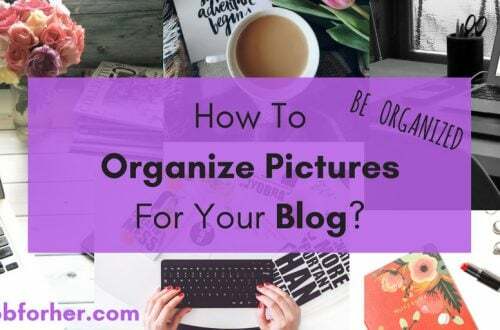 Even though blogging has a nice way of being self-controlled with time, lots of work still needs to be done. You need to be consistent, keep bringing up new ideas and continuously try to grow. It’s great to be your own boss. But this also means that you have to take care of everything! Over the last year, I have dedicated lots of energy and time to this blog and I can truly admit that I’m very proud of where it is now and how much it has helped our family. I have more faith in myself due to this blog. It has made me feel more than a mom, played a great part in paying off our debts. I want to show to you that there is a possibility to be a boss of your own and make an income online with the right amount of effort and the appropriate resources. Hope now you know more about what is blogging and how to make money with it. In case that you need any help kindly reach me here or on Facebook!